Can a Soul Learn Lessons in the Afterlife? The soul is multidimensional and simultaneously lives in many places or "mansions" as the Bible calls these realms. Even the part of the soul that is in the human body on Earth does not fit completely inside the body–it extends into the aura, which can be expanded indefinitely. 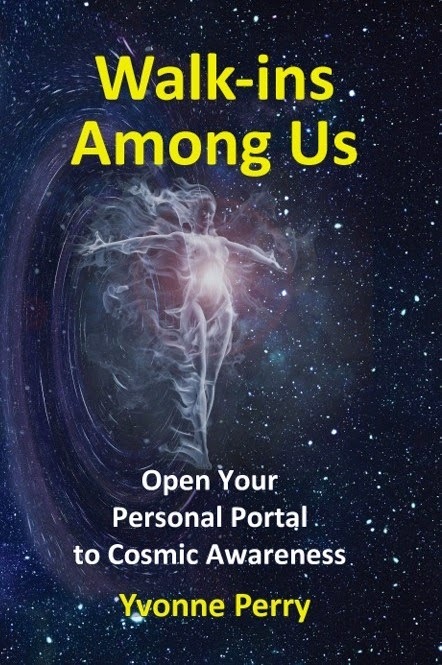 Upon the death of the human body, the more spiritually evolved aspect of the soul crosses into the light, which I believe is a portal into a higher dimension of consciousness. 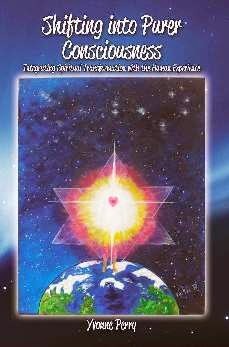 The vibration or frequency of that dimension is much higher than that of the Earth plane. Part of the soul that is "left behind" when the body dies is known as the astral body, which contains the memories of the life experiences it gained on Earth. These negative (low-vibrating) emotions and thoughts may get stuck in the Earth plane, and be seen as ghosts or apparitions. It may also fuel itself on the negative emotions, thoughts, and habits (such as substance abuse) of a human host through that person's astral field/body, to which it attaches itself. If the entity gains enough fuel or energy, it can begin to move objects or cause problems for other humans who may not even realize this is what is happening. The good news is that this negative aspect of the soul can still learn lessons, change its ways, and prepare for reincarnation while in this state of afterlife. If it achieves enough insight (positive energy that does not come from siphoning from humans) to raise its vibration or resonate at a higher frequency, it can move into higher dimensions and join with higher evolved aspects of itself. Many people are skilled in helping these Earthbound souls cross over. My information comes from my personal experience with dis-incarnate spirits as well as from Ethan Vorly's work and The Spirit's Book by Allan Kardec. I hope that brings a little more clarity to this mystery of souls and the afterlife. 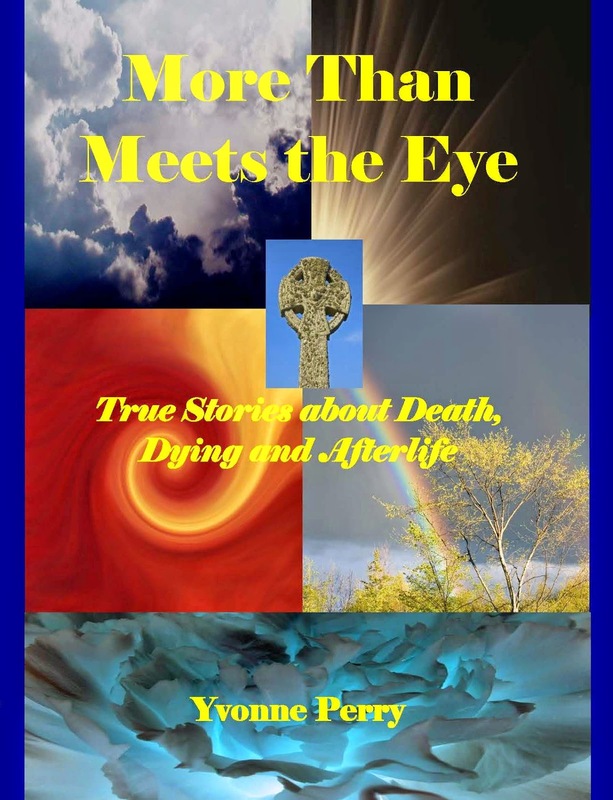 You might enjoy reading my book, More Than Meets the Eye True Stories about Death, Dying, and Afterlife. Purchase paperback on Amazon.com. 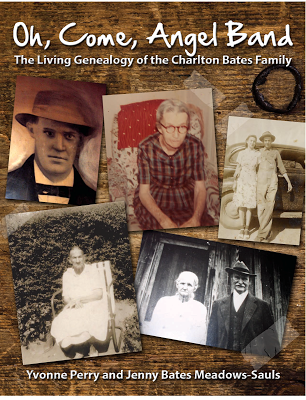 It's also on Amazon as an e-book for those who have Kindle or Sony Readers. The audio book is now available! Death should not be the end of your life. It should be the beginning of your "new" life. While working in the death care industry, I think I buried as many unfulfilled dreams as I buried bodies. I listened to countless families tell stories of unfulfilled wishes of their deceased loved ones. Stories of how the deceased always wanted to write a book, go fishing, climb a mountain, parasail, start a business, spend time with the grandchildren, work fewer hours, start a fitness program, travel the world, learn to play the piano, ski... the list goes on. The death of a loved one naturally gives thought to our own mortality. Unfortunately, these thoughts are brief, lasting until we are back to our daily, usually rushed, routines of life. It is so often said that "life is short." What does that really mean? Try this experiment today. Ask at least ten people what does the statement, "Life is short" mean to them. In most cases, many will have to stop and think about it before they answer you. Life if precious, yet so fragile. We take so many of our life's situations and circumstances for granted. We assume that our newborn will be born healthy. We assume that our spouse, whom we argued with last night and didn't speak to this morning before leaving for work, will return home for dinner. We assume that our children will grow up to be well-respected professionals. It is usually the death of a loved one or close friend that heightens our sense of the fragility of life. Stop and smell the coffee. This saying we use often, but act upon rarely. When did you last sit or walk and marvel at the beauty of nature; notice the individual petals of a rose; stare into the waves of the ocean; experience and appreciate the innocent smile of a child; inhale and enjoy the aroma of a cup of coffee or tea; or, spend quality time with family and friends without cell phone and text interruptions? Find gratitude in everything. This is my favorite because, to me, this is really what life is all about. When we live a life of gratitude, you tend to find the positive in every situation. Find things each day to be grateful for. Keep a gratitude journal. When you greet each day with gratitude and love, and greet each person with gratitude and love (although sometimes not so easy to do), your perspective on life will change. This will also reduce many of the emotions felt when a loved one dies, especially guilt, regret, and anger. An exercise for you: Think of something that you can do for someone else (no matter how small) in honor of your deceased loved one. One of the most effective ways to work through grief is to help someone else. I sum it up with my mantra, my slogan: Everything in life is temporary, including life itself. Decide to Say Yes! to the gift of now. Statistics show that it normally takes 5-8 years to recover from a devastating loss. Dora Carpenter, Certified Grief Coach, Certified Life Coach, and founder of The ANIYA Group Life Coaching Center, says it doesn't have to take that long. Her grief coaching practice offers hope, encouragement and support. In her book, "The Grief to Gratitude Blueprint... What to Do When Death Occurs," Dora gives tips on 24-72 hours following a death... and beyond. Download her book at http://www.amazon.com/dp/B0098B86XU. Read more about Dora at http://www.DoraCarpenter.com. When a family pet dies it can be difficult enough for an adult to cope with, let alone a child. A pet's passing is usually the first encounter a child has with the subject of death, and it can be very frightening and confusing. Handling the situation properly can make a huge difference on how the child copes with the death of the pet, and how they feel about the subject of death for the rest of their lives. I, personally, have had many pets in my childhood and found their deaths to be especially traumatic and they left a lasting impression on me. How you handle the subject is largely dependent on the age of the child. Under 2: The child may realise the pet is gone but is more likely to be affected by the actions of those around them. If you are upset the child will pick up on that but they are too young to understand the subject of death and will probably not be affected by the pet being gone. 2 to 5: Between these ages the child will be aware that the pet is gone, and may miss playing with it. They are more likely to see the animals death as temporary, and will not be able to grasp that the pet is "not coming back". Explaining to the child that the pet has died will probably be necessary, and it is important that you do make death sound frightening but that all pets die, and when they do die they are in a peaceful and happy place. 5 to 9: The child will be more likely to understand that death is permanent, and will be more traumatised by the pets death. They may cry a lot and experience feelings of guilt. 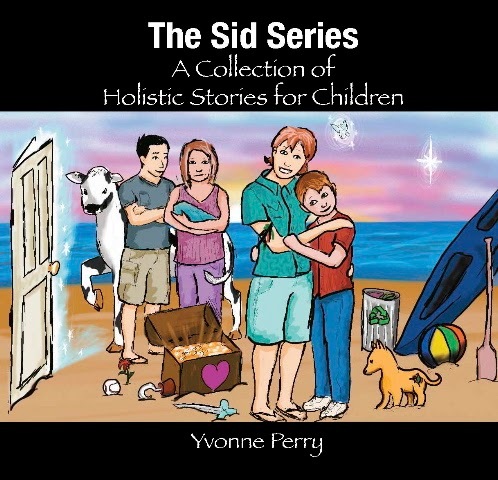 It is important that the child understands that all pets die, and that it is not their fault. 10 and above: Children are now able to understand that all things die, but even though they understand death they are likely to experience all the emotions of grief. It may be necessary to take your child to a counsellor if they are particularly affected. Should I Show My Child The Pet's Body? Again this is dependent on age. A child under the age of 5 will only be more traumatised and confused at the sight of a dead body, which means it is better not to let them see it. If the body is distressing for example if it has wounds then it is best not to show it to a child of any age. If the pet looks peaceful then you can give the choice to a child over 7 if they wish to see the body. Specially designed for burying your loved one's ashes, GEOS is a hand-crafted biodegradable urn made from binding plant organic substrate, fiber, golden sand and plant extracts. The urn's lid can be replaced and a seedling of the tree of your choice can be planted there to cultivate that new life. The urn's dissolution time will always depend on how moist the ground is. Are You Aware That You Have Spirit Guides? Everybody is born with a degree of psychic ability. For many people it is lost as they grow up and don't pay attention to it. For others, it stays and they listen to it and they become what we all call psychic. Everyone has spirit guides, the difference is that some people are aware of them whereas the majority are not. Your spirit guides are there to observe, to teach, to heal and to help you on your own spiritual journey. Part of their spiritual journey is to be your guide. Guides come and go through your life as you need different types of help. Often you can have more than one guide for different aspects of your life. Knowing your spirit guide is a very useful ability because they you can communicate with him or her and can the advantage of an additional point of view. Imagine you are looking along a road. There's a bend in the road ahead of you. From your vantage point you can see only so far around the bend. Your spirit guide is further along the road than you and can see further around the bend than you can. When you learn to communicate with your guides you will have access to a higher knowledge that will help you in your life. You will find your intuition and instincts are better because you have this higher knowledge. You will also find a sense of peace from this knowing. Knowing your guides are there and their purpose will help you to realise your part in the divine order of things. No longer do you think you are a single entity lost in the vastness in space. Instead you become aware of the interconnectedness of things and how you are a part of a bigger whole, a grander plan if you like. There are many different ways for you to contact your guides. Anyone can talk to them, regardless of background or psychic ability. You just have to learn to establish a communication channel with them. For some this is verbal communication, for others they hear things, for others they have feelings and for some this communication manifests in stranger forms like songs or music. Whichever form of communication you have with your guides, it is the right one for you. The best form of accessing the wisdom of your guides is through a guided meditation. Using a meditation CD will help you immensely in communicating with your guides. How long it takes for you to establish that communication will vary from person to person but typically you'll see results within just a few goes with the CD. These CD's work by relaxing your conscious mind so that your sub-conscious mind becomes more clear. Through this relaxation, you cut out that nagging voice that questions and doubts everything, making it easier for your guides to be heard. Think of it as you are in a noisy room and your guide is whispering to you. If you cut out the background noise (your conscious mind) then you can hear the whisper of your guide. As you talk to your guide more so you will find the communication becomes easier until you can do it at will in any place at any time. Communicating with your spirit guide can provide you with a sense of peace and tranquility knowing that there is a divine scheme of things and that there is more to the world than you may have thought. A meditation CD is perhaps the best way for you establish this communication and create a relationship with your guide. Learn how to contact your spirit guide with this highly effective meditation CD. Listen to this CD and be guided in to a state of deep relaxation where you can contact your spirit guide and learn to speak to them whenever you want. 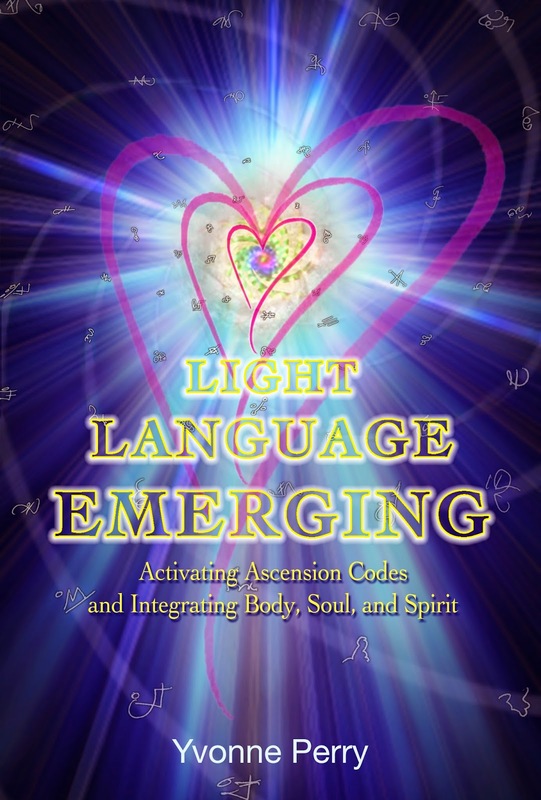 Anyone can learn to speak to their spirit guides through a program such as this. For most people there is no difference between palliative care and hospice care, especially to those who are not in the healthcare field. They may seem similar in terms of their philosophy, but these two are quite different in many ways. This article will bring clarity to such confusion. If you know of anyone, may it be your family or friend who is confused between the two, this article will help you get a better idea of what the two types of care are all about. This is also helpful to nurses who are either working for or wanting to work in these types of fields. It is described as support and care for patients who are terminally ill. It is the facility's goal to give them the best comfort and satisfaction with their remaining life. Rather than focusing on the finding a cure for their illnesses or trying to extend their lives, the facility does its best in making them happy during their living days. They want the patients to experience a good quality of life. Their philosophy is that which accepts the reality of death. That death is part of life and one must accept it. Palliative care is used inside and outside hospice locations. In general terms, palliation is described as that which focused on relieving and preventing suffering in patients who have diseases or conditions that are not responsive to curative treatment. Palliative care's goal is to give patients relief from their illnesses. While they both have similarities, they are still essentially unique on their own. Palliative care is usually being offered and used in hospitals, whereas hospice care is usually used in a patient's home. Palliative care areas offer therapies that aim to give patients a longer life, as this kind of care does not stop them from finding a cure for their illness of condition. On the other hand, hospice care facilities only treat patients who are willing to give up any treatments that can cure them of their conditions. If they are still in search of curative treatments, they may not get coverage for their care. When it comes to costs and reimbursement, hospice care is fully paid by Medicare benefit or Medicaid. It is also important to note that those who want hospice care through Medicaid or Medicare must be found to be within the last six months of their life. Working in hospice care and palliative care are both rewarding for registered nurses. Which RN specialization would you prefer? Are you interested in spirit communication? 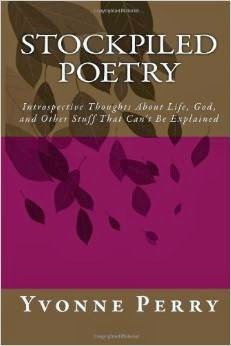 Does the idea of opening a wild, wacky and wonderful window into the world of spiritual beings sound scary... or scintillating and sensational? In my many years of experience with psychic and paranormal research, I can tell you that there are 3 very specific camps that most people fall into. The truth is, you can get all of the personal proof and afterlife evidence you want, without having to believe anything I say is true, or to take the skeptics at their word, either. The afterlife IS available to be studied by anyone with a sincere interest, and who is willing to go out on a bit of a limb and be adventurous with respect to the unknown. I want to share with you 4 things you can do to begin to experience the afterlife NOW. These all have worked wonderfully well for me, and have opened me up to an amazing array of experiences over the years that I didn't believe possible. Remember though, just because something works for one person....doesn't mean that it will work well for the next. That's why it's important to use different channels, approaches and mediums (no pun intended!) for accessing the kind of evidence AND experiences that work for you. Many of these things work really well together. For example, using a digital recording device while "working" with a ouija board can be a very cool experience, and can yield amazingly empowering results. One one hand... the ouija board planchette is moving around seemingly on it's own, and then later.....when you listen to the recording, EVP's are captured very clearly that you KNOW you didn't audibly hear while using the board. But exciting? If you are genuinely interested in spirit communication... very! Again, meditating before speaking to a psychic medium can be very effective for me as well, as does practicing meditation in general, on a daily basis prove to be a great spiritual tool for opening yourself up to realities that are closed off during ordinary consciousnesses. it's often equally as difficult for your loved ones to come through on THEIR side, as it is for us, to access them... on ours. Using time tested tools and techniques like above may be controversial to some... but there is a reason they've been along for as long as they have and continue to be used. Want to see a REAL Ghost Video right now? Click Here to join our FREE psychic social community with all sorts of crazy cool paranormal experiences you have to SEE to believe! The loss of someone that you love, or care for deeply is a very painful experience. Many people are able to relate to the death of a person, but few are able to understand the pain associated with losing a pet. After the death of a pet, it is normal to experience feelings of sadness and depression. For some, this feeling remains with them for years after the death of a pet. Everyone grieves differently, and it is a highly personal experience. While there is no wrong or right way to grieve, there are ways to help ease the pain. One way to help with the pain is to commemorate your pet. By honoring your pet's life you can help ensure that its memory lives on. Similar to the death of a human, a pet's life should be cherished and remembered. Holding a memorial ceremony, or funeral is a good way to help loved ones and family members come to terms with the loss of a pet. Young children can also help by making photo collages of their favorite memories with their pet. If you choose to bury your pet at home, encourage visitors to place a treat, toy or other special objects to be buried with your pet. You might want to consider including a pet memorial or headstone for your pet regardless if you plan to bury them at home or in a pet cemetery. Pet monuments and granite pet markers are custom made. Black granite is a respectful and sophisticated material of choice for monuments and headstones. Black granite is dark in color, and are polished to a mirror-like finish. The engraving on black granite appears white, which stands out against the dark background. Pet monuments as well as head markers can easily be engraved to include your pet's name, an uplifting message to remember your pet, and also their picture. If burial is not an option or against city bylaws, cremation offers pet owners another option. Decorative urns can be used to store your pet's ashes. Urns can be made out of almost any material. A popular choice for pet owners is the wood pet urn. Wooden pet urns can be ordered to your specifications to store ashes for all different size pets. Urns come in different wood finishes and grains, and many can have your pet's picture laser-etched onto its side. There are also urns that have a memory box on one side and the urn on the other side. It can be filled with your pet's photo, favorite toy or other memorable item. This is a tasteful way to preserve the memory of your pet. Another type of urn is a cremation marker that is made of granite. The base is hollowed out to the hold ashes of your beloved pet. If you find it too painful to keep your pet's ashes at home, another alternative would be to scatter its ashes in a garden and then plant flowers in the soil. This way, your pet will symbolically help provide the foundation for new life. You can place a head marker or monument to serve as a memorial keepsake in the garden to remember your pet. Maryann Piccini shows us how she likes pets at Best Pet Kennels. Here she focused on Pet Memorials that can be found at: http://www.bestpetkennels.com/Pet-Memorials.html. She has grown up with dogs and a variety of other pets. Along with her children, they raised a Seeing Eye German Shepherd, Jenna and prepared her for the "Big Seeing Eye School". Presently, the family care for their tea-cup yorkie, CoCo, whom they spoil with pet beds and a new Dogger stroller from her website. Visit often as there are always new and exciting products being added.